We all know authors must wear many hats. We are booksellers, designers, webmasters, speakers, marketers… and when you are an author who owns her own business, multi-tasking becomes tricky and gets that much more difficult to accomplish. Which is why of late it’s been unsettling that I've missed quite a few of my deadlines – discouraging me to the point that I seriously contemplated no longer pursuing a writing career and instead concentrate exclusively on my company. Not only am I an author of two poetry books, I also run and operate a day-to-day business that has grown considerable over the past few years; and it’s been rather difficult for me to walk this balancing act of poet, writer, author and entrepreneur. There is a great deal of responsibility that comes with being an author, and when you add to that, actually running a small business with little staff to shoulder the work load makes it that much harder. I reached a point I'd had enough! I was ready to call it quits out of sheer frustration at how things were going. One right after the other, writing deadlines came and went while I was preoccupied by clients, newsletters, ads, and all things business-related. It came to the point where I thought I could not possibly go on like this anymore. I was on the verge of nearly quitting when I heard the most incredible words that really stuck with me and changed my way of thinking. A pastor on television said that sometimes to accomplish your goals you have to go through a bit of discomfort. Right then and there I agreed with what was said, and those thoughts stayed with me and provided hope and encouragement. I realize I wanted to make it work, I wanted to continue to write; and I didn't want to give it up! I recognize how important it was to work smarter and not just harder, that I should better prioritize my work. I had to focus and be more discipline in order to accomplish what I wanted at the moment. I've been steadily focusing on one thing at a time and not a million stuff at once. I'm now writing more and most importantly I've gotten my groove back! Nadia Janice Brown resides in Miami, Florida where she works as a book promoter for www.author-promotion.com. 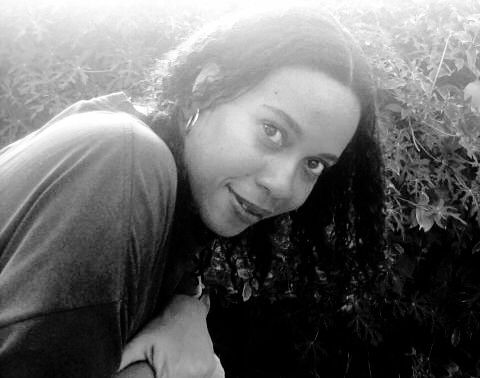 She is the author of Becoming: The Life & Musings of a Girl Poet and the award-winning book Unscrambled Eggs. Nadia can be reached through her website at www.nadiajbrown.com. So glad you got your groove back, Nadia! The balancing act is a constant struggle, but, as you point out, if you are truly pursuing a passion then it is worth it! Thanks for the inspiration! J.C.
Great post, Nadia. I, too, am learning that focusing on one thing at a time is a key to balancing and producing. I've also learned that when I face a big project, I need to break it into small pieces that I can get done prior to the deadline. That gives me more time for my subconscious to work on the project (especially writing) and also keeps me from being so stressed because I have too much to do as the deadline looms.